Today's post is the last in my "thankful for new writers" series. And this one comes with a giveaway! It was autumn, 2014; almost time to go back to the Breathe Conference for Christian writers in Grand Rapids, Michigan. I couldn’t believe that a whole year had passed and I had barely made headway on the whole platform idea. I’d first heard about platform building at Breathe 2013, and determined to make this writing life work, I spent countless hours during 2014 listening to tutorials in the library in an attempt to learn the foreign language of website building. It took so much time to build the website that I didn’t know when to write. When I finally posted and got the word out, I did receive encouraging and heartfelt responses from a few readers. But I didn’t know the difference between a blog post and a 5-day in-depth study of the names of God, so I couldn’t post enough to keep anyone’s attention. Just before heading back to Grand Rapids for the conference, I made the decision to look for readers in a more focused way. What if I could write something and give it away? Advent would be easy, I thought. I love Christmas and the season has defined boundaries. I could start with pieces I’d already written, fit it around a four-week schedule, give it away at first, and have something more focused to blog about. I had no idea how much work it would be, or how long it would take, or to be honest, what real editing even meant. The biggest surprise was how much God would teach me about his story through the process. It is almost October. Here are my fingers and this keyboard and unlimited blank documents. Christmas changes me. Every year. I give this Advent project to you. I do not want to make things up just to meet a need or gain recognition for being a good writer. I want to nudge people to the manger so that you can change them like you change me. The journey to Bethlehem is one of my favorite stories. Keep me focused. Point me in the right direction. As I write, steer my words into sentences and paragraphs that bring honor to your name. I think God answered that prayer. He didn’t just keep me focused; he captured my attention and my heart all over again with his ancient story and made it new. Friends and family read and reread the early manuscripts and helped me shape the book into a much more organized and user-friendly book than I could have done alone. My brilliantly talented nieces and daughter became my graphic design and photography team. 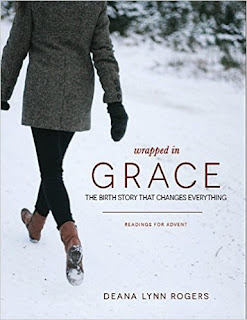 This Advent season, hundreds of people are reading and journaling through the book. I am overwhelmed by the goodness of God and they way he has entrusted us to tell his story. Heavenly Father, as we write, steer our words into sentences and paragraphs that bring honor to your name. Deana Lynn Rogers loves Christmas, sunshine, her giant family, libraries, and walks at sunset with her husband Dale. She can’t get over the brilliance of God’s redemptive story and how he chooses to tell it through the lives of imperfect and ordinary people. Deana and Dale live in Mesa, Arizona with any of their college-age children who happen to be passing through for a while. Deana’s first book, Wrappedin Grace: The Birth Story the Changes Everything, is available at deanalynnrogers.com and on Amazon.com. I’ve kept a journal since I learned how to write. I find I can’t really understand my thoughts well until I’ve put them into words. I need a place where I can write all of my words out until my hand is cramped or my laptop battery gives up or my heart feels settled. I gave my daughter the pink one I wrote in when I was twelve-years-old. I thought she’d like to read what her mama wrote at her age. Mistake. It turns out I wrote some really cheesy stuff about the boy I liked. She and her siblings got some laughs out of that one. Once when my husband and I were engaged, I took out a journal entry I’d written during a time we’d broken up. I was sad and pitiful. Apparently, I still ran into him from time to time after breaking up because I wrote, “When will Andrew Wood ever be out of my life? !” I read it to him. I judged from his reaction to my subsequent comment, “I guess never!” that he wasn’t as amused as I was. There can be danger in writing everything down on paper. There’s a chance people will find it and read my private thoughts. Once in a great while, we get one of our friends to stay at our house and watch the pets while we travel. About halfway through every trip, there’s a moment where I wonder, “Is he up in my closet right now, dragging down that box and reading all of my innermost thoughts?” So far, I guess I’m safe. All joking aside, I do live with the hope that someday some descendant of mine will want to know what life was like before the internet or before flying cars or whatever there is to come and will take the time to learn cursive and decipher my writing. I myself would love to have my great grandma’s journal. Unfortunately, she didn’t read or write, so I’m left with only her name. Maybe someday my great grandchildren will have a decent idea of who I was because of my words. 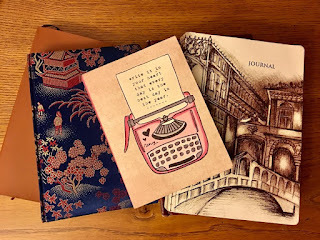 I think I’m a better writer because of all of the hours I have spent journaling over the years. I’m in the practice of putting my thoughts on paper. I have a decent feel for my voice as a writer. My husband is surprised that I can write as quickly as I do, but I think it’s just from all the practice over the years. It feels natural to pick up a pen and collect my thoughts. Also, writing in a journal helps me turn off the critical part of my brain that tells me what I’m writing is no good. I know it’s not for publishing, so I can write as I want without really worrying about what anyone else will say about it. At times, I think maybe I should censor what I write, though, and leave out the parts where I’m less than stellar. Maybe I should leave a better impression for posterity. Then I catch myself. What’s the use of writing it down if I’m not going to be honest? I don’t have to tell every single thing, but I know I’m not a perfect mom and have certainly messed up my poor children in ways that will affect the family line. What if a descendant struggles with the same issues I do, and what if I have insight she doesn’t have that I can pass on through my words? Or what if just knowing someone else struggled with those things helps her connect the dots and understand herself. 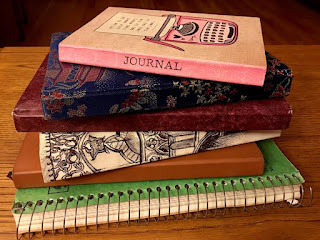 In reality, the biggest reason I write in a journal is that I need someone to talk to. I need someone quiet and intuitive enough to sort through my thoughts and figure out what I should do next, and when I journal I discover that person is really me. I write and write and by doing so I systematically think through what’s been swirling around in my head all day or all week. Suddenly, somehow, I see a solution. If nothing else, I may at least come to some peace about it. So here’s to journaling, to leaving a legacy, to putting myself out there, to figuring out what I need by writing out my thoughts. And now that I’ve done that, maybe I’ll go make some sloppy joes! I bet that would have made those lunch ladies happy. Laura McKillip Wood raises kids, cares for a husband and a house, and writes. In her free time, she works in the academic office at Nebraska Christian College, a job that provides the calm amidst the storm of parenting three teens and preteens. She writes a monthly column for The Lookout magazine (lookoutmag.com) and blogs at lauramckillipwood.com. 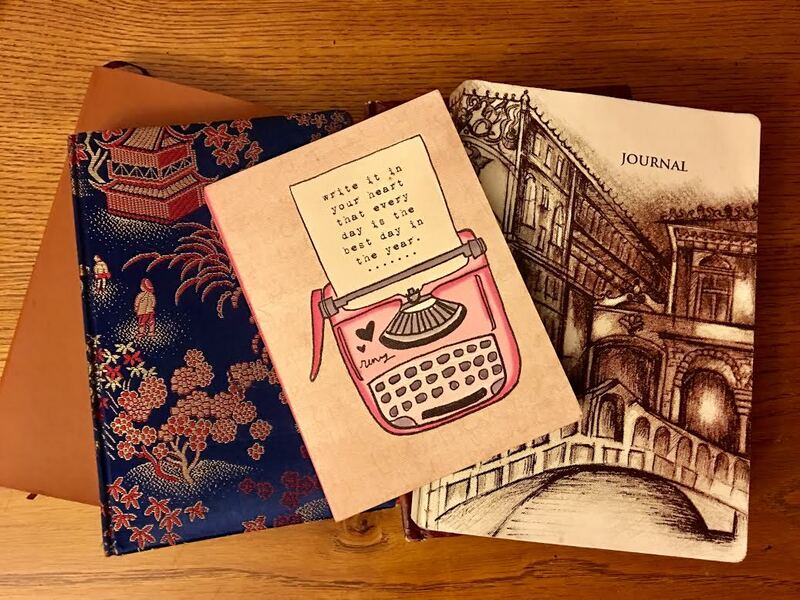 So do you journal? 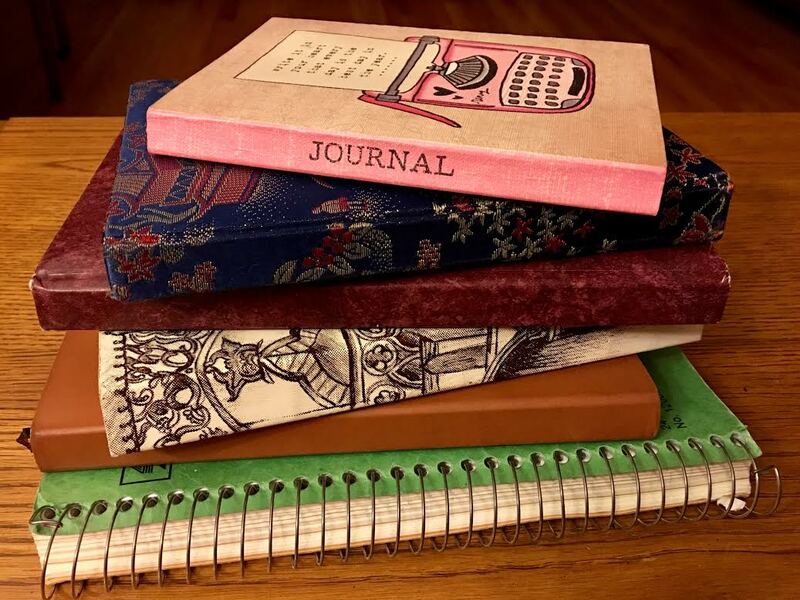 What have you learned about yourself or your writing through journaling? 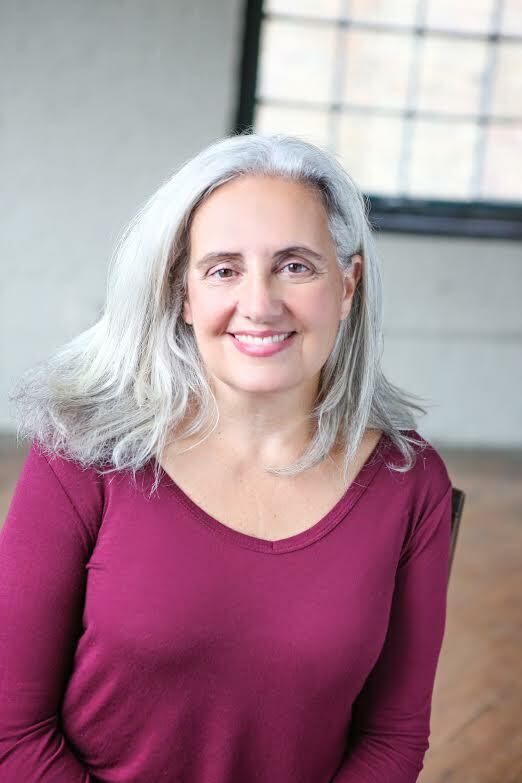 For this week's blog, I've asked Nancy Hallo to share her journey in pursuing writing as more than a dream or hobby. I know you will find it encouraging as we celebrate new writers on the scene during this season of Thanksgiving. Be sure to leave Nancy a comment. I know she will reply. Retirement: the definitions of which are as numerous as the lucky individuals who attain this well-earned status in their lifetime. Goals of retiring are vary though often include travel and spending more time with family and friends. 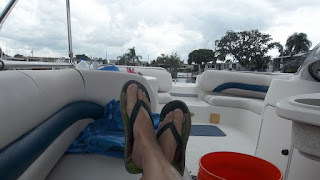 My husband’s dream for retirement was to reside in a waterfront community, embracing the expected perks of fishing, boating and cooling gulf breezes; a dream that we have been blessed to realize, though a few years before I was eligible to collect my earned monetary benefits. As I somewhat patiently counted down the years, then months, then days until I could apply for and receive a monthly check from Social Security, my dream continued to be the pursuit of my writing. When I began suffering gradual neck spasms and the sensation of heaviness and extreme range of motion deficit nearly five years ago, I sought medical attention. Multiple specialists were consulted, numerous tests performed, and several therapeutic and pharmaceutical remedies recommended, prescribed and employed; with no definitive diagnosis or etiology nor relief of my symptoms. Upon visiting with a neuroscience specialist in June 2015, her physician assistant recognized my ongoing syndrome as that of torticollis. A rare disorder that can occur at any age, cervical dystonia most often occurs in middle-aged people, women more than men. Symptoms generally begin gradually and then reach a point where they don't get substantially worse. There is no cure for cervical dystonia. There also is no known exact cause, though I remain quite certain that my years of employment as a transcriptionist absolutely aggravated my condition. That my chronic and worsening muscle pain, pulling and deteriorating range of movement negatively affected my quality of life became more evident. The stress of maintaining the position working at my desktop computer exacerbated my neck pain. As I looked toward my eventual retirement, my hope was that separating myself from the posture required during my workday would provide benefit. In the spring of this year, retirement benefits commenced. Unfortunately, my dystonia symptoms progressed, even after therapies to include quarterly botulinum toxin injections, muscle relaxants, pain medications, cervical injections, acupuncture, strengthening exercises, as well as physical therapy. With the freedom, time and desire now at hand to pursue my lifelong dream of being a writer, I found myself less than motivated as I allowed my disorder to define me. The discomfort of constant neck spasms, coupled with the inability to bear the weight of nor hold my head up distracted efforts at achieving my lifelong goal. Mild depression led to reconciling that perhaps dystonia would destroy my dream. 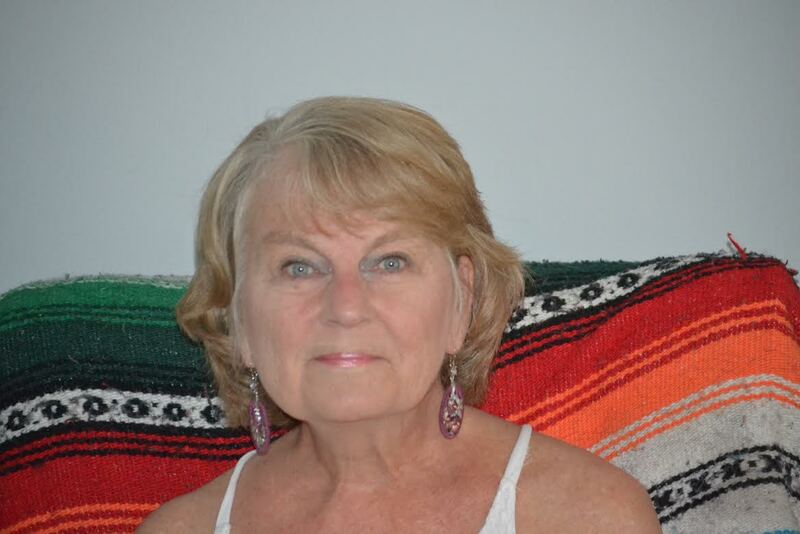 With much encouragement, direction and support from my dear friend of 50 years, the author of A Novel Creation, I was eager and thrilled to pen a personal blog describing my newly achieved retired status and its significance in regards to my writing goals. Now employed as a regular contributor for an on-line home health care aide publication, I continue to hone my research and writing skills. I’ve become aware that celebrating the accomplishment of my writing far outweighs the pain and discomfort I have realized for so long. Remaining determined to achieve my goal of succeeding as a published writer, and with the persistence of an idea and initial research underway for a young adults’ nonfiction story, I know the most optimal treatment for my diagnosed disorder is to accept and persevere. I’m learning to utilize my gifts to strengthen and motivate me. Perhaps it is this current mindset that is allowing for a mild improvement with my second try at a course of physical therapy. My prayers, of course, continue to be for a cure in the very near future. But, I have waited a lifetime to achieve success in the pursuit of my passion. Refusing to allow this physical obstacle to be a disincentive is my new mantra! 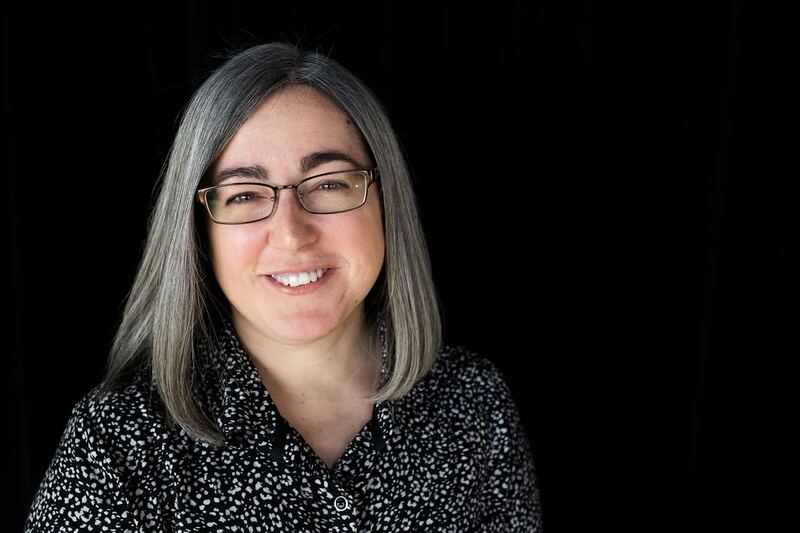 Nancy Hallo, a wife and a daughter, a mother and a grandmother recently added the labels “retiree” and “writer” to her resume. After 20 plus years employed as a medical and legal transcriptionist and editor, she begins her writing career maintaining a blog highlighting her “salt life” retirement (http://nancysparadise.blogspot.com/) as well as continuing as a regular contributor for an on-line home health aide publication.